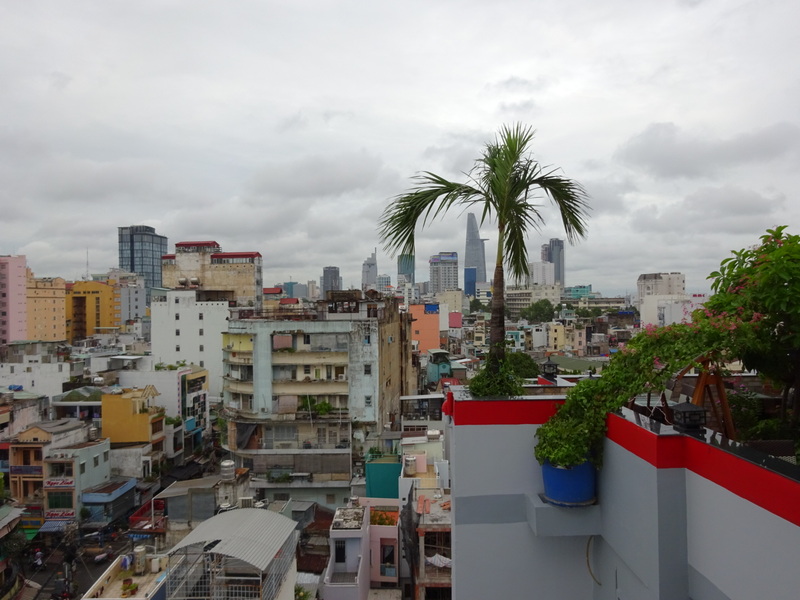 After three nights in Saigon Ho Chi Minh we’ve finally kicked jet lag and are flying to Hoi An this afternoon. 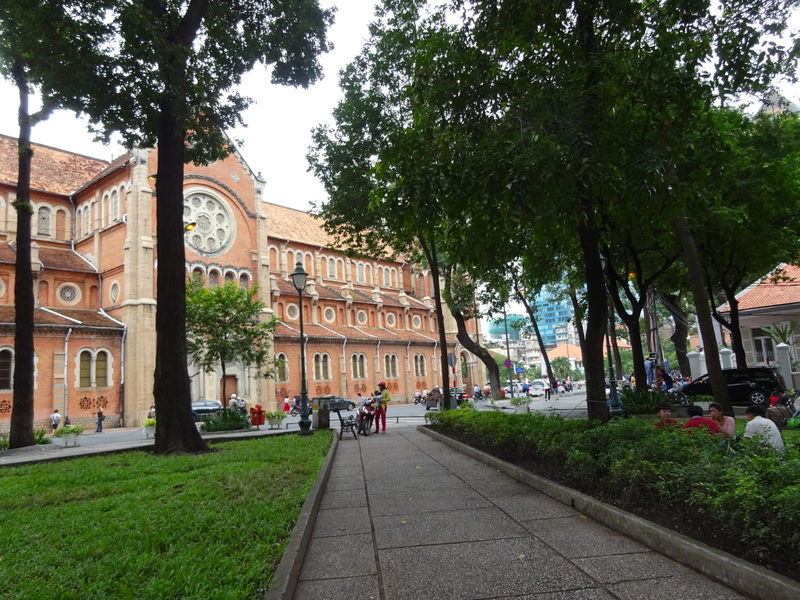 I’m so impressed by what I’ve seen so far of Vietnam that I can’t wait to see more. Thanks to the French, the availability of coffee and sheer volume of really good coffee shops in HCM is one of the most surprising things. 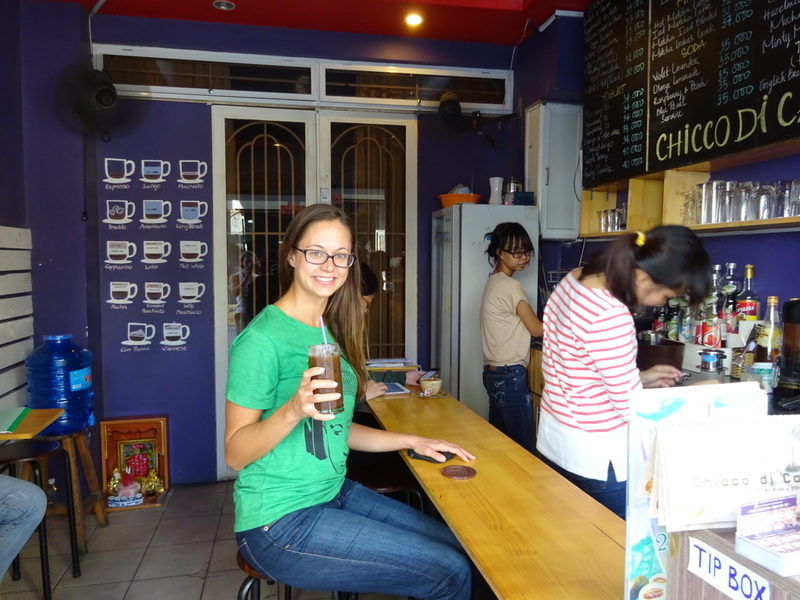 On nearly every other corner you can find a Western style coffee shop, whether it be a local chain like Highlands Coffee, Starbucks, or The Coffee Bean. 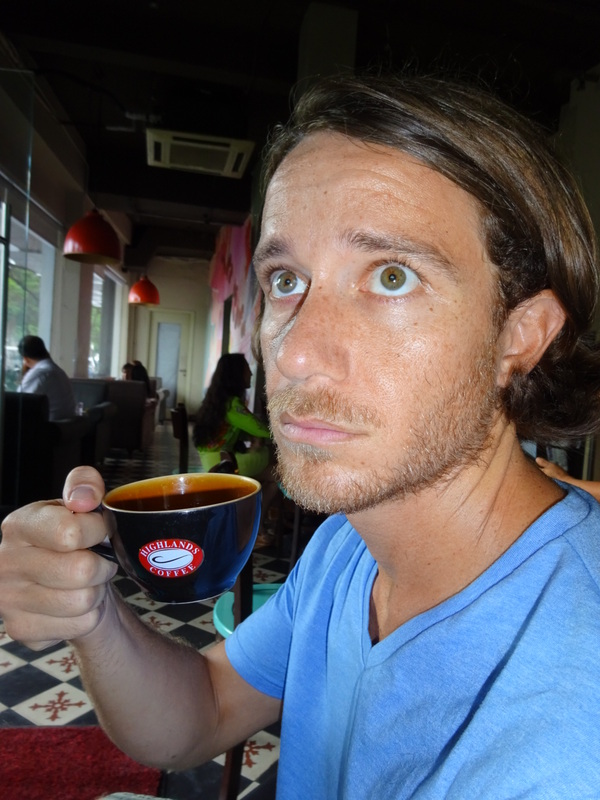 Never underestimate how crucial coffee is during the first couple of grueling jet lag days. 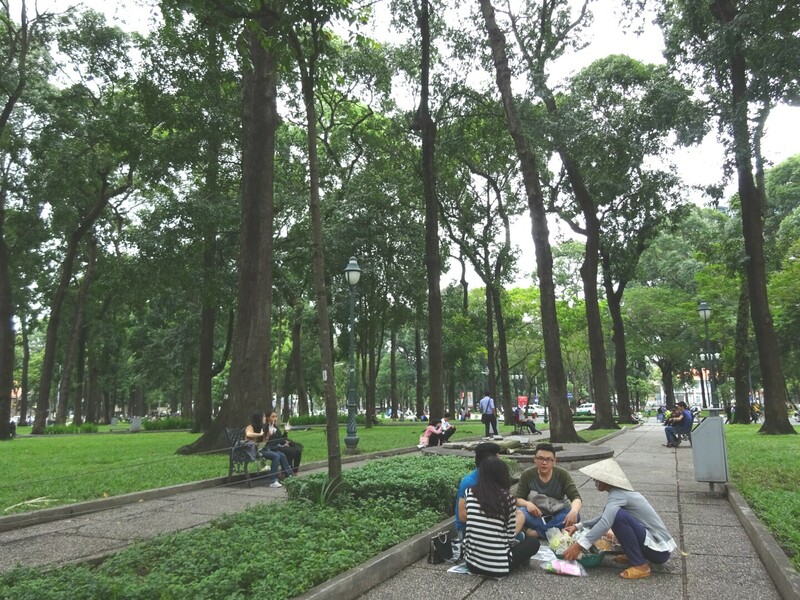 Another wonderful aspect of French influence are the wide tree-lined avenues and beautiful parks of HCM, which at times make you forget where you are. After traveling for the entire year, we tend to skip museums and tourist attractions unless they’re a must-see. 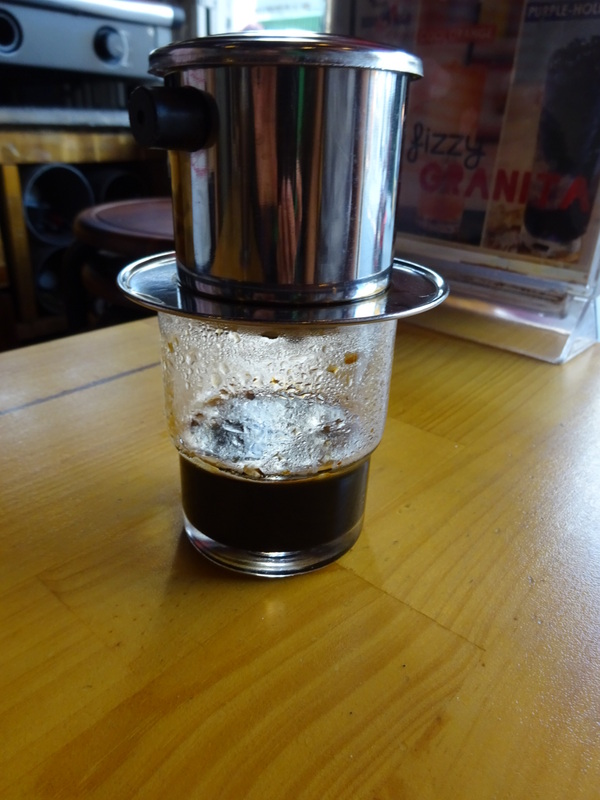 For this reason other than visiting the nearby somber Cu Chi tunnels, we’ve mostly just walked around eating and drinking TONS of coffee. Pho and spring rolls for breakfast, lunch, and dinner! Not only can you get really inexpensive and tasty Vietnamese food, but you can also find anything from delicious Indian at Baba’s, Japanese, or even Texas BBQ. Last night we “splurged” on drinks at the fancy bar at the Park Hyatt followed by dinner at the popular Hoa Tuc. 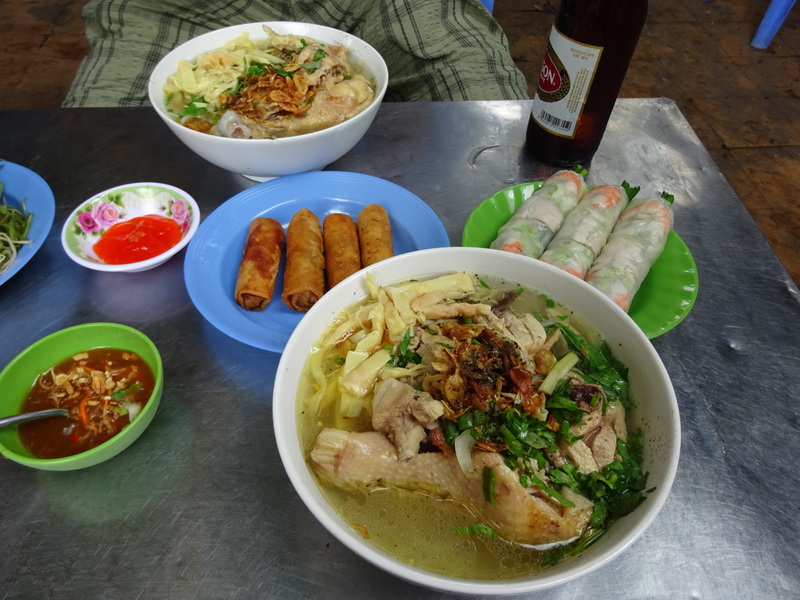 This morning we spent $2.50 on two bowls of pho, which was the cheapest meal of our trip. Heading to the airport now, next stop Hoi An! !